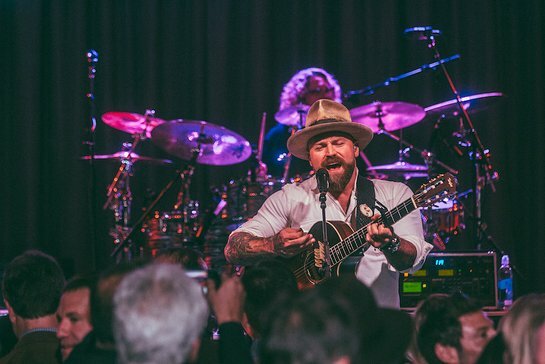 On Friday, November 30th Camp Southern Ground, the non-profit passion project of multiplatinum GRAMMY Award-winning artist Zac Brown, held its third annual Evening To Remember benefit to support the continued growth of the campus and programming. The evening was the most successful in the three-year history of the event, raising over $2 million, amongst an intimate gathering of less than 200 donors. Brown appeared on stage with Camp Director Scott Hicok and thanked the crowd for their years of support. Brown highlighted that this year’s event was a true milestone for Camp Southern Ground as the campus opened its first week-long overnight camps in June 2018, thanks to the funds An Evening To Remember has raised over the years. “This event is always special because we get to share the success of Camp Southern Ground with our Atlanta community. This isn’t my camp, this is everyone’s camp and each year the guests that join us, whether they’ve supported from the start or this is their first evening with us, leave at the end of the night knowing they’re helping to create a lasting legacy,” said Brown. This year’s benefit was hosted by The Home Depot co-founder and owner of the Atlanta Falcons, Arthur M. Blank and his wife Angie. The evening was attended and supported by presenters such as Wendy Lee Barton, Cara Isdell Lee and Zak Lee, The Novak Foundation, The Freeman Foundation, SunTrust Bank and Mercedes Benz. Sponsors and guests of the night also included The Menear Foundation, Laurice and Douglas Haynes, Emeril Lagasse Foundation and Serling, Rooks, Hunter, McKoy, Worob & Averill, LLP. Live auction donations were made possible by the Atlanta Falcons, Atlanta United, CAA, Guy Fieri and many other generous supporters. Celebrity guest chef, Food Network star and American Restaurateur Guy Fieri, collaborated with Zac Brown Band Executive Chef Rusty Hamlin, Camp Southern Ground Chef Collins Woods and Atlanta-based Proof of the Pudding on the evening’s three-course meal. Robin Meade, CNN journalist and Anchor of HLN’s “Morning Express,” served as emcee and in a special surprise took to the stage with Zac Brown Band to perform her rendition of The Doobie Brothers’ Long Train Runnin’. Guests helped create Zac Brown Band’s set list for the evening which included hits like Chicken Fried and Free. 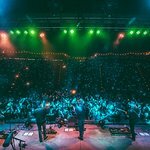 The band also performed their new single “Someone I Used to Know” for the first time live since debuting it on The Tonight Show Starring Jimmy Fallon in November.